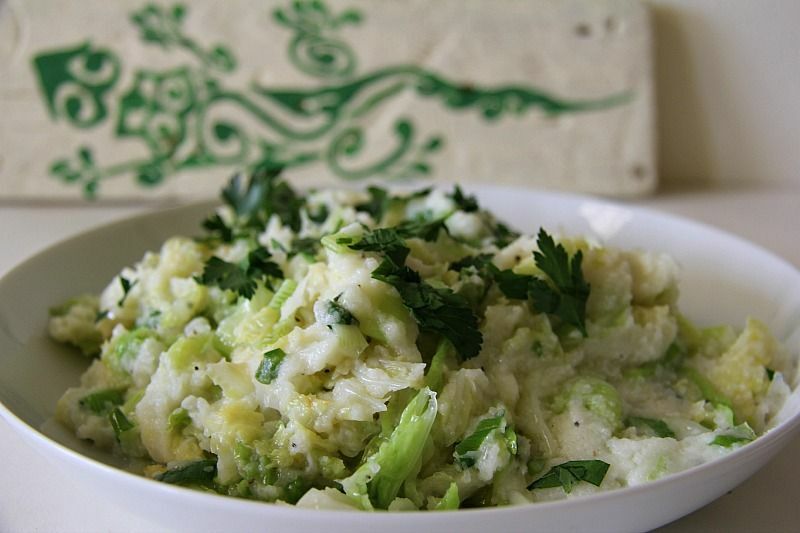 Colcannon is an Irish recipe of mashed potatoes with kale or cabbage. There are a few variations with leek, garlic and bacon. I had recently made a mashed cauliflower dish that received a standing ovation from the Chief Taster so thought I’d try a colcannon dish substituting the potato with cauliflower. Cauliflower is a great substitute for potato. Except for French Fries. Whoever finally creates that substitute deserve a reward! However, if you search for Cauliflower Fries you will find roasted cauliflower florets being passed off as a substitute for French Fries. Now, I have a creative imagination but even that is stretching it a bit much! 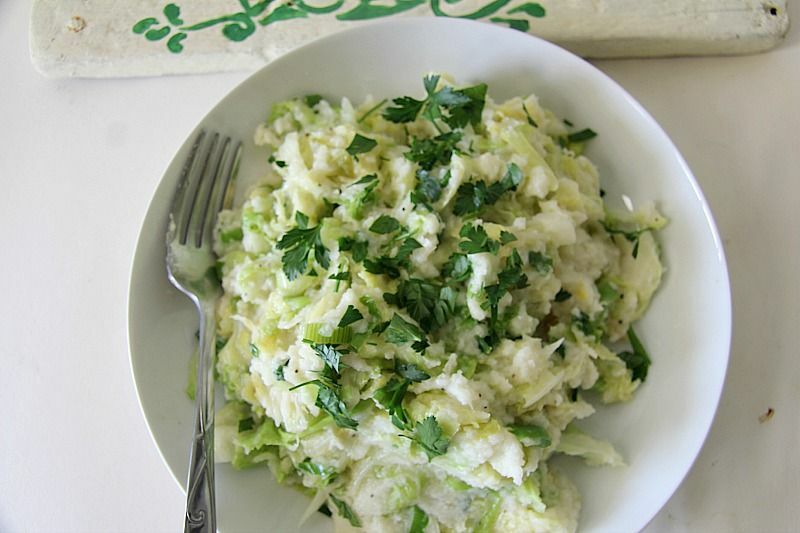 For this recipe, I used half a head of a medium sized cauliflower and half a head of a medium savoy cabbage as I wanted to make enough for us, not a side dish that can feed a large family. 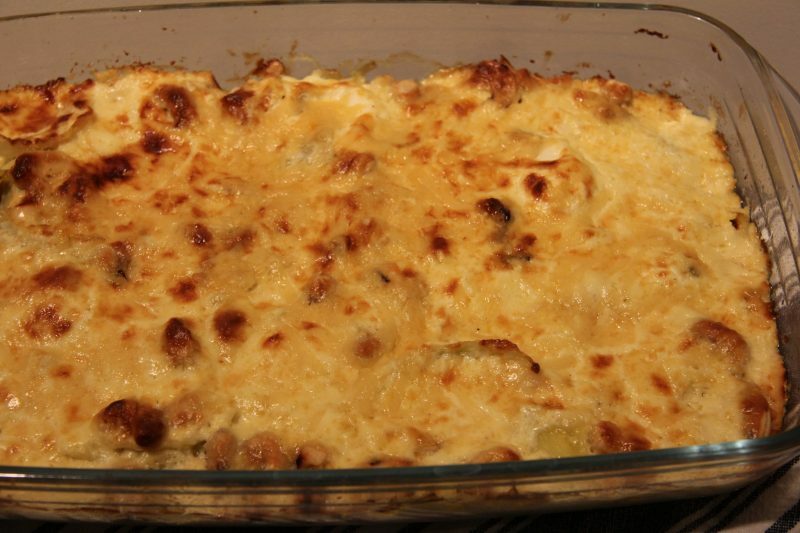 The result was a large side dish that took over our plate along with the main dish we had. It could stretch to 4 people if you had smaller portions than we did and wanted other vegetables too. 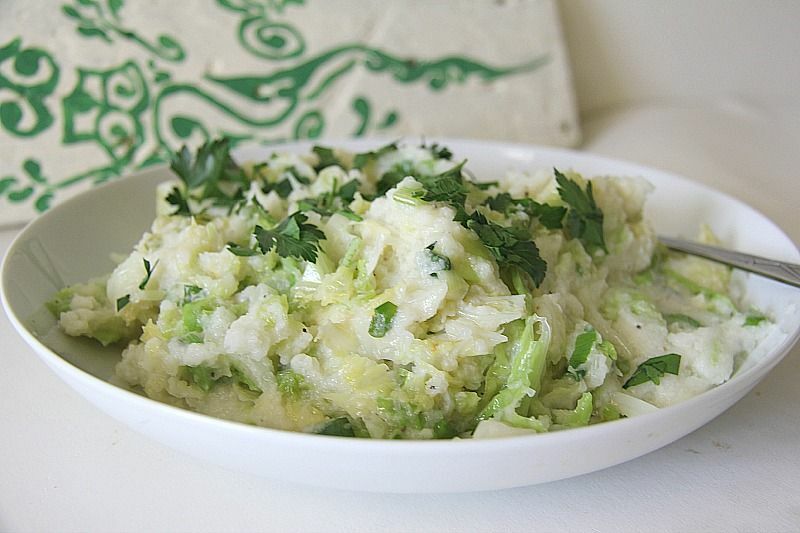 This cauliflower colcannon recipe was just delicious. I could have eaten a plate of this just by itself. 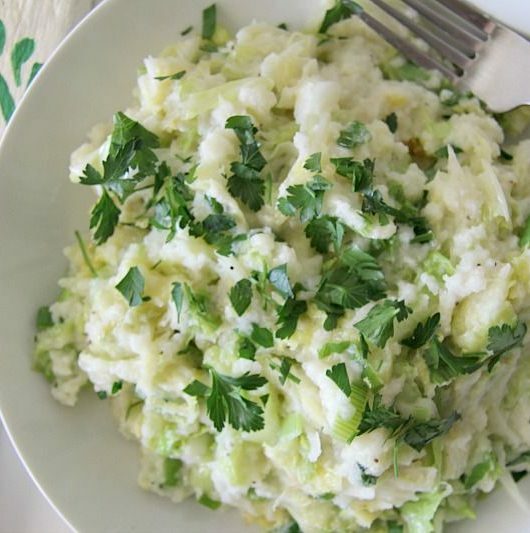 The cabbage is gently fried in butter, then added to the mashed cauliflower. I added some cream to make it extra creamy. Delicious as it is, you could try this with mustard, garlic powder or Parmesan cheese. Perhaps some bacon for all you meat eaters too. With St Patrick’s Day coming up this would definitely be a great dish to have. Although as I type that I cannot help but laugh to myself and think of the various St Patrick’s Day celebrations I used to go to in London. There was nothing low carb those nights! Fun nights in an Irish pub, with lots of beer, a live band and roasted potatoes for bar snacks. Then the inevitable dash for the last train home. We did it all again in Dubai where they have a large Irish Pub called the “Irish Village”. My liver is still recovering. This will make a great comfort side dish any day too. 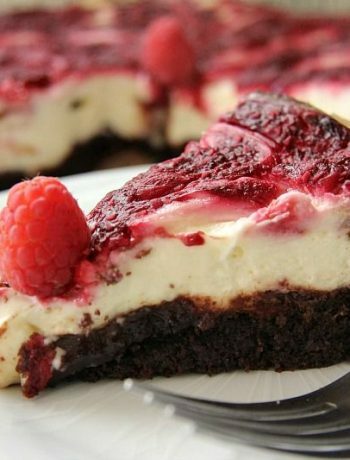 All the taste of a stodgy comfort dish with a lot less carbs! Simplicity itself and very delicious. Cut the cauliflower into florets, place in a sauce and cover with water. Bring to the boil then cover and simmer for 10-12 minutes until soft. Drain then mash with a fork (or potato masher), adding half of the butter and the cream. I blended mine with a hand blender to make it very smooth. Finely chop the cabbage in thin slices. Heat the remaining butter in a frying pan and add the cabbage and the spring onions. Gently saute for 5 minutes until soft. 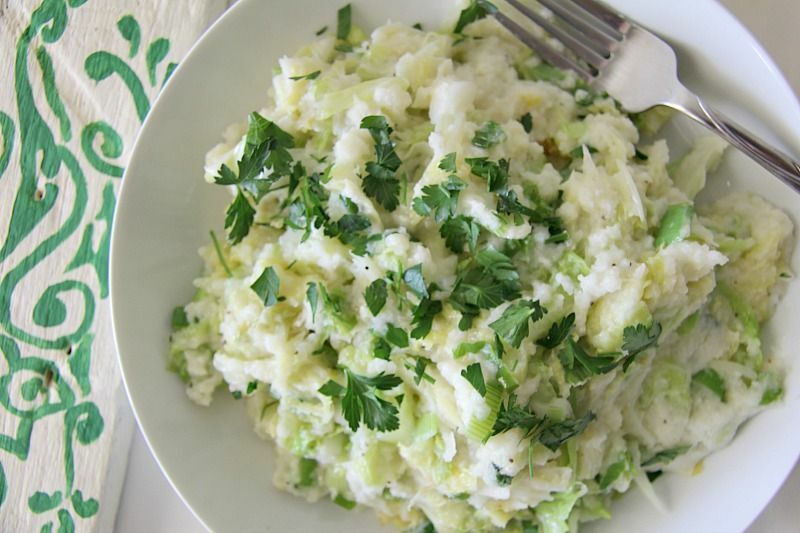 Add the cabbage and spring onion to the mashed cauliflower and season. Mix thoroughly. Spoon into a serving dish and scatter with the chopped parsley.